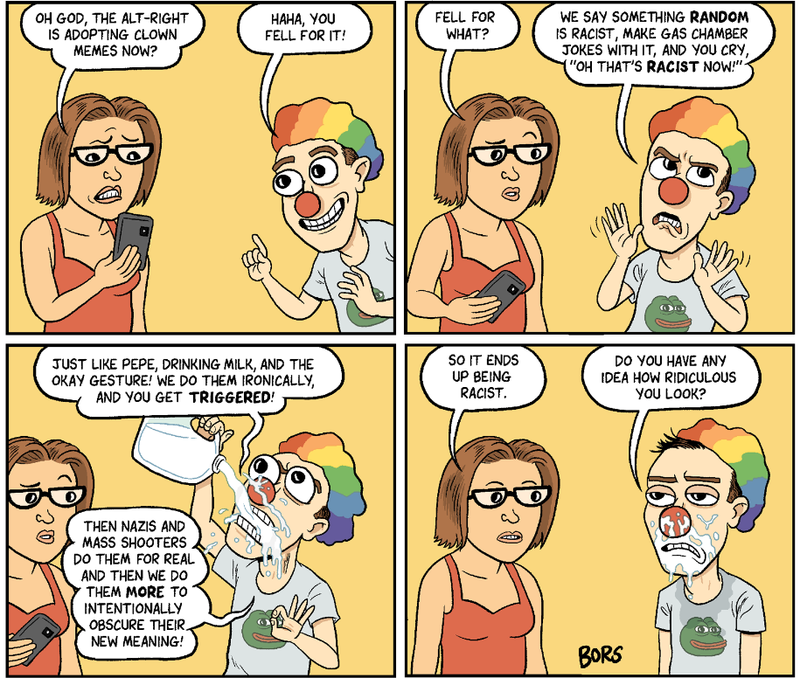 So you think drinking milk is racist? But not CHOCOLATE milk, right? I think Half & Half raises several numerous social implications. What does skim milk say about my social concerns on body shaming? The milk of obscenely wealthy capitalists! That's all ya got? A cartoon? 3. So you think drinking milk is racist? 4. But not CHOCOLATE milk, right? 5. I think Half & Half raises several numerous social implications. Life is so complicated, now. 7. What does skim milk say about my social concerns on body shaming? OMG, am I a whale bashing racist now? 12. The milk of obscenely wealthy capitalists! The cream rises to the top? 9. That's all ya got? A cartoon?